Family outings to the cinema can be very expensive affairs! The cost of tickets alone can mount to around £30 for a family of four, possibly even more if you're watching a movie in 3d! Luckily, there are ways to make cinema trips less expensive, possibly even free! In this post, I'll explain how you can find cheap cinema screenings for you family, score free tickets for new releases, and enjoy snacks which cost a fraction of the kiosk price. Most big name cinemas (and several independent ones) offer budget-priced screenings of family-friendly films. Ticket prices are heavily reduced, averaging only a couple of pounds per person, and while the films screened may not be the latest blockbuster, they offer value for money and the enjoyment of viewing great films on the big screen. For just £1 each, parents and children can watch a variety of family-friendly films at Cineworld. Screenings are usually on Saturday or Sunday and tickets should be booked online to take advantage of this incredible price. There's usually two or three films to choose from each week, so be sure to check what's showing at your local cinema. Vue offer family-friendly screenings on weekend mornings with tickets costing only £1.75 each for adults or children (or £3.00 if watching in 3d). There's usually only one choice of film per week, a fairly recent release which has not yet made it to video. 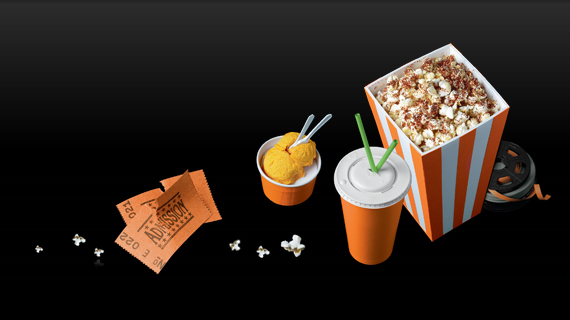 Depending on your location, the Odeon Kids scheme could offer the best value for money. Tickets start from only £1 (to a maximum of £4, depending on your cinema) and for every child ticket purchased an adult goes free! Kids screenings are on weekends and daily throughout the school holidays, though there's usually only one film choice per week. Ideally you should book tickets at the box office as a 75p charge applies if booked over the telephone/On-line to both the child and (free) adult tickets. Your local Indie cinema may offer special screenings or activities for children. In my home town, for example, the Showroom offers weekly activity, lunch and movie screenings for kids which cost just £5 per child (adults can watch the film for just a couple of pounds, but must buy their own food). Check your local cinema's website or give them a call to discover if there are special value screenings for children. Those using Orange's mobile phone network are eligible for two-for-one cinema tickets every Wednesday at cinemas across the country. Aside from the cost of a text message, this offer is free to use and enables you to buy two tickets for the price of one - effectively halving the price for each person attending. It's worth booking in advance to take advantage of this offer as cinemas can become incredibly busy on Wednesdays for this very reason! Also, only one promotion per week can be used for each Orange customer, so if you need more than two tickets you'll need to have another Orange-powered phone handy! Many cinemas offer discounted tickets on certain days/times during the week. On Tuesdays, Odeon, Cineworld and Vue cinemas offer discount tickets (priced at £4.50-£5) and many cinemas offer reduced tickets for showings before 6pm. Film distributors often give away tickets for preview screenings of the latest films, usually to generate publicity. These tickets are usually limited and run out quickly, so be quick to register your interest if there's a film you'd particularly like to see! Sky Rewards - Sky Movies subscribers regularly receive offers for free cinema tickets. Register for the weekly newsletter to get updates about the latest releases. Virgin Media - Customers to this cable service can opt to receive two free cinema tickets for selected screenings each month. LoveFilm - Check out the LoveFilm blog for news of free ticket promotions. HotUkDeals - The Freebies>Entertainment section of this popular deals site features free ticket promotions from many different distributors. MoneySavingExpert forum - This thread is solely for posting codes for free cinema screenings, and is probably the best place to search for a variety of film types. Food purchased from cinema kiosks can be extortionately priced. In many places, the cheapest bag of popcorn can set you back five pounds! With a mark-up of 600% on many consumables (more, I suspect, for certain food items), the cost of snacks often exceeds that of the cinema ticket itself. Cinemas argue that much of their ticket sales is take by film distributors and that the food mark-up compensates for that, but those of us little disposable income prefer our snacks to be more frugal. Did you know that most cinemas allow you to consume cold food and drinks which have not been purchased in the kiosk. Except for hot food and alcoholic beverages, you will usually be allowed to snack on foods you have brought in yourself. Unfortunately, most consumers (and some cinema staff) are the false impression that food and drink purchased elsewhere is prohibited. Alcohol and Food Policy: Neither alcohol nor hot food may be brought onto the premises. Only hot food bought on the premises may be consumed on the premises. Alcohol may only be purchased and consumed in Cineworld licensed bar areas or in licensed screens and licensing laws will be strictly enforced. There is no mention that food purchased elsewhere is prohibited from the cinema. Hot food brought from outside of the cinema may not be consumed on the premises. It is also stated in Section 3.13 that no alcohol may be brought into the cinema (and alcohol purchased on the premises must be consumed only in the licensed bar area). There is no mention that food and drink purchased elsewhere may not be consumed on the premises. ODEON does not have a policy against people taking their own food into screenings, other than when it can affect other guests' enjoyment - for example odorous foods - and discretion is therefore left to the individual cinema managers. When visiting an independent cinema, it is best to check the terms of entry beforehand to see whether or not you are allowed to consume your own food. In all cases, this is allowed at the cinema manager's discretion; different cinemas may well have different policies in regards to food and drink. 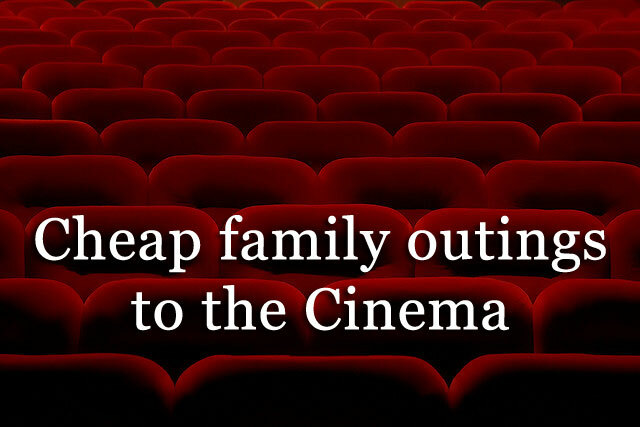 Do you have any further ideas about cheap cinema outings for the family? What are your opinions about taking your own food into the cinema? Please feel free to add your own comments and suggestions using the form below. What a useful round-up. We love going to the cinema as a family but it can be a pricey affair so love this post.